Chianina cattle are among the largest cattle breeds in the world. 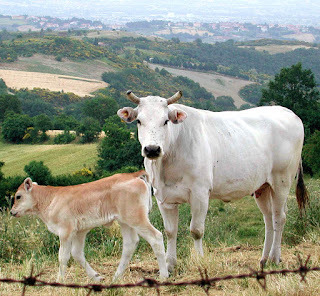 They are also the tallest and heaviest breed of cattle. Their coat is usually white with very slight grey shading around the eyes and on the foreparts is tolerated.